From searching around online, it looks like the ATI PCI Express 3GIO Filter Driver has been causing havoc for more than the past five years. With AMD’s acquisition of ATI in 2006, the problematic driver may also appear as the AMD PCI Express 3GIO Filter Driver under Device Manager. The problem stems from Windows Update incorrectly identifying a device in your computer as being a match to this driver. If you choose to install the ‘optional’ update, your computer may give you a BSoD upon restarting or, if you’re lucky, just a message about a resource conflict between the filter driver and the computer. If you are receiving the blue screen of death and you can’t even get into Safe Mode successfully, it seems a system restore from the Windows DVD will be your only choice. 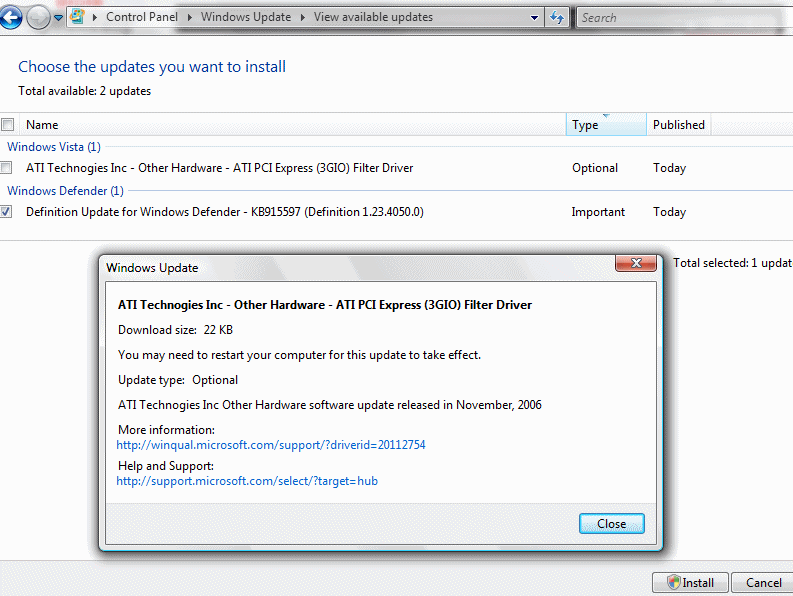 Right-click on the ATI PCI Express (3GIO) Filter Driver and select ‘Uninstall’. Choose to delete the driver software for this device from your system. After a number of restarts and running “automatically detect new hardware” through device manager, the proper drivers should be found and your problems should go away. It is strongly recommended to avoid drivers from Windows Update and to update the drivers for the hardware you have directly from the manufacturers’ websites. Not only are the manufacturer provided drivers typically more recent but that way you’re also manually checking that the hardware and drivers match.